3C are able to provide a comprehensive package of descaling options both on and offline to restore plant to optimum efficiency. All our technicians are 'confined space' trained and have experience of permit to work systems. By 3C Environmental Technology based in Hampshire, UNITED KINGDOM. Our Video Inspection Services group is a team of the most technologically advanced operators in the industry. Expertly trained to operate remote visual inspection units with agility and urgency to provide the most detailed images of converters, exchanges, boiler tubes and more. By EnviroVac based in Savannah, GEORGIA. By DU Digital Processes Pvt., Ltd. based in New Delhi, INDIA. Power Plant Services has a wide variety of welding services available. See what we have to provide to your company. By Power Plant Services based in Melrose Park, ILLINOIS (USA). Power Plant Services has a wide variety of welding services available. By North American Industrial Services, Inc based in Ballston Spa, NEW YORK (USA). Power industry has many needs, including service that stays up with current technologies. AWC is your company--with our vast array of lab services, equipment, and chemical offerings, we can handle your needs. By Advanced Water Company, Inc. based in Columbus, NEBRASKA (USA). 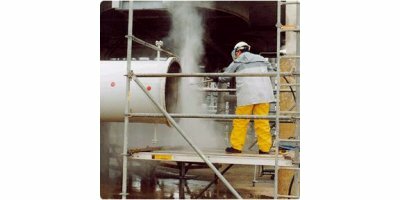 ChemTreat’s field engineers provide the highest level of boiler treatment expertise available. Our full line of boiler chemicals are designed to keep your system free from scale and corrosion – giving you more time to focus on what matters most. By Atlas Inspection Technologies based in Seattle, WASHINGTON (USA). By First Environmental Nationwide based in Macon, GEORGIA (US) (USA). Aquilex hydrochem has the technology resources and technical specialists required to develop innovative solutions in the vast hydroblasting arena. We look at your job from a unique vantage point and come up with customized solutions to shorten your downtimes and save you money. By HydroChem LLC. based in Atlanta, GEORGIA (US) (USA). By Deep South Industrial Services Inc based in Rockmart, GEORGIA (US) (USA). We carry out professional repair work on shell and water tube boilers, including related boiler components, primarily with our own specialists. By VKK Standardkessel Köthen GmbH based in Köthen, GERMANY. By Climbex S.A. based in Brzezie k/Opola, POLAND.